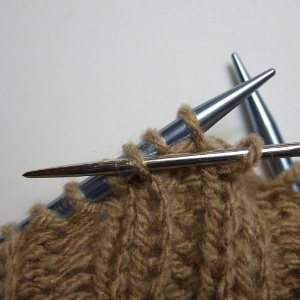 Cut the yarn three times the length of the ribbing. 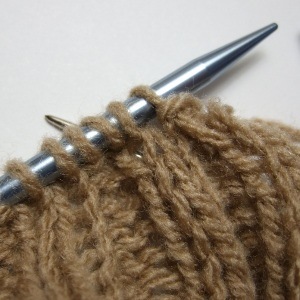 Insert the yarn needle purlwise into the first (knit) stitch. Pull the yarn through. 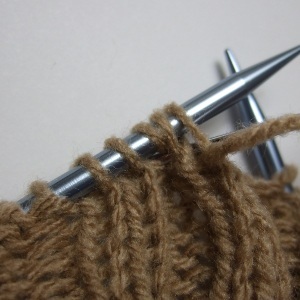 With the yarn needle behind the two knit stitches, insert it knitwise into the first purl stitch. Pull the yarn through. 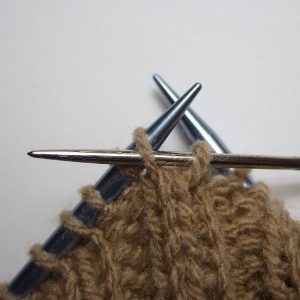 With the yarn needle, slip the first knit stitch knitwise. 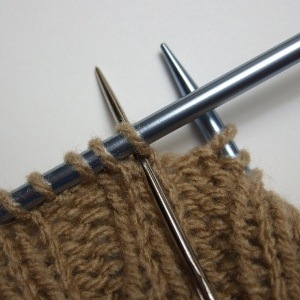 Insert the yarn needle purlwise into the second knit stitch. Pull the yarn through. 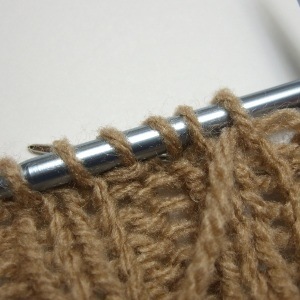 and knitwise into the second purl stitch. Pull the yarn through. 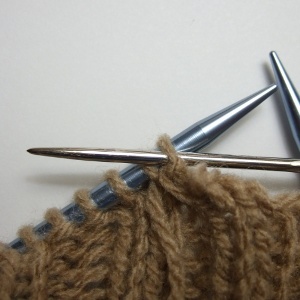 Insert the yarn needle purlwise into the next knit stitch. Drop the first purl stitch from the left needle. Pull the yarn through. 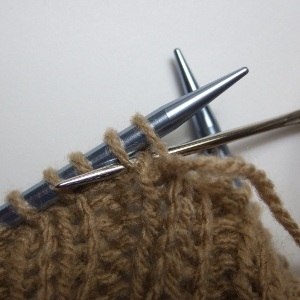 Insert the yarn needle purlwise into the first purl stitch. Pull the yarn through. Drop the stitch from the needle. 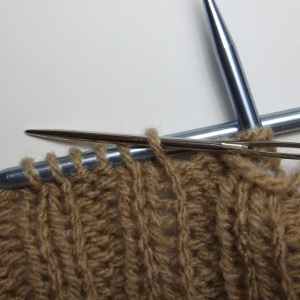 Take the yarn needle behind the next two knit stitches. 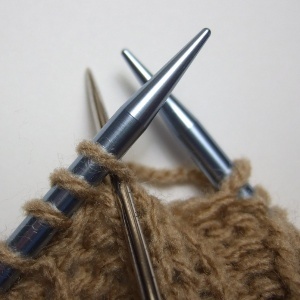 Insert it knitwise into the next purl stitch. Pull the yarn through. Repeat from 3 to 10 across the ribbing.